Narrow Band O2 sensors ( 2 to 4 wires) are in GM : Chevy, Cadillac, GMC, Buick, FORD, Chrysler : Dodge, Jeep - 1996 to 2009 cars and trucks. Toyota from 1987 to 1998 ( WIDE BAND O2 sensor cars and trucks GO HERE.) For DIESEL EFIE with no o2 sensors go here. Adaptive Control for adapting to the Newer 25ms. 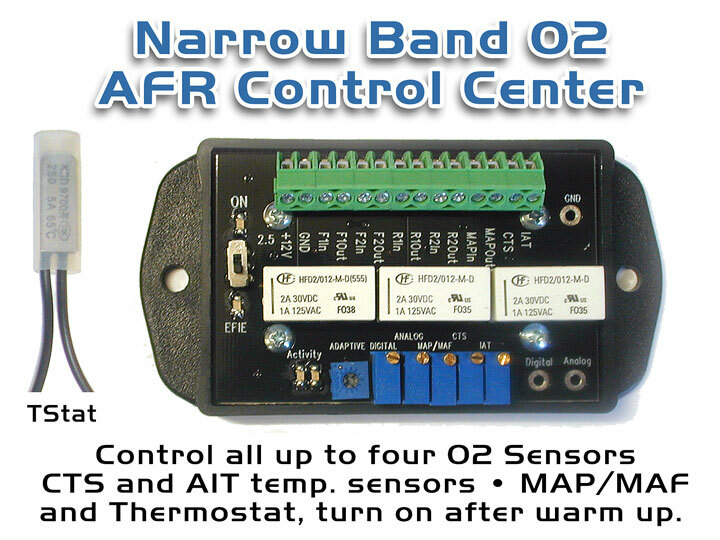 Oxygen Sensors MAF/MAP Control for for leaning your fuel flow to your engine. IAT Control for adjusting and retarding your ignition timing. CTS Control for forcing your ECU to select leaner fuel mapping. Automatic Sequential Switching, following the ECU chain of command Take Control of your ECU and AFR. Comes complete with instructions to make you a professional HHO installer! Learn all about your cars sensors and how to lean the fuel trims when you add HHO to the mix. YOU MUST HAVE AN OBD II PORT MONITORING DEVICE IN ABLE TO THE TUNE THE AFR CONTROL CENTER. WE SELL ONE HERE. OR BUY THE COMBO HERE. Go check out all of Klondike Darol Mason's circuits here. This product was added to our catalog on Friday 12 February, 2016.